Until now, no system has combined low cost, ease of use and installation, and the hardware security guarantees of a DD-Series gateway. At 1/10 the price of competitive offerings, the DD-Series provides state of the art security. MicroArx DD series data diodes provide hardware that physically enforces a one way flow of data. Data flows out to the Internet, but no data from the Internet can reach your critical production assets. As one-way data transfer systems, data diodes are cybersecurity tools that isolate and protect networks or individual assets from external cyber threats and prevent penetration from any external sources. The Department of Homeland Security, with advice from the FBI and NSA, recommends using data diodes, such as the MicroArx DD series, to protect industrial and infrastructure assets. The hardware-based nature of data diodes, enforced by the fundamental laws of physics, places them at the highest possible level of security, short of physically disconnecting the network and not allowing any data to flow in or out. Only the DD-Series combines the security of a Data Diode with the familiarity and ease of use of a firewall at a reasonable price. Curious how the DD-Series compares with firewalls and other data diodes? Click the button below to find out. Like all MicroArx Security Appliances, the DD-Series is available for OEMs. Using the DD-Series and its Diode capabilities as a base, OEMs can add software capabilities to the system using the onboard Linux based processing system. The DD 1100 provides maximum flexibility, convenience and security. Like all DD series gateways, the DD 1100 lets you leave your existing network configuration in place. With support for 1 gigabit ethernet connections, the DD 1100 creates a one-way data connection to provide best in class security. Using MicroArx' hardware security technology, DD 1100 security uses the laws of physics to prevent any communication from the Internet from reaching your internal network. The DD-1100 connects either to WiFi or cellular networks for its downstream Internet network connection. The DD 1000 provides maximum flexibility, convenience and security. Like all DD series gateways, the DD 1000 lets you leave your existing network configuration in place. With support for 1 gigabit ethernet connections, the DD 1000 creates a one-way data connection to provide best in class security. Using MicroArx' hardware security technology, DD 1000 security uses the laws of physics to prevent any communication from the Internet from reaching your internal network. The DD-1000 connects to 1 gigabit ethernet for its downstream Internet network connection. The DD 110 provides great flexibility, convenience and security. Like all DD series gateways, the DD 110 lets you leave your existing network configuration in place. With support for 100 megabit ethernet connections, the DD 110 creates a one-way data connection to provide best in class security. Using MicroArx' hardware security technology, DD 110 security uses the laws of physics to prevent any communication from the Internet from reaching your internal network. The DD-110 connects either to WiFi or cellular networks for its downstream Internet network connection. The DD 100 provides great flexibility, convenience and security. 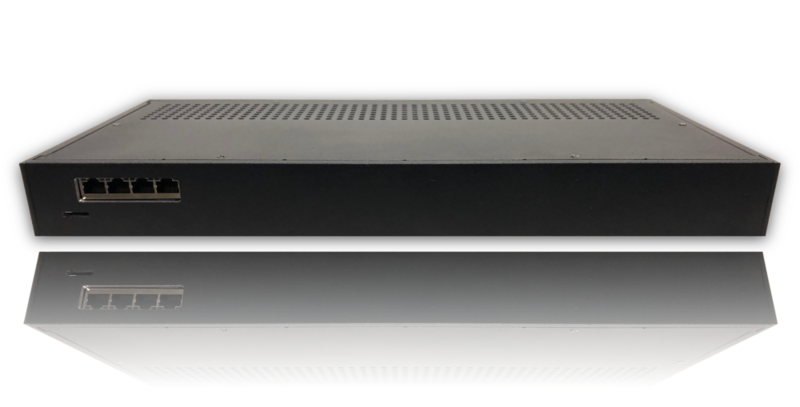 Like all DD series gateways, the DD 100 lets you leave your existing network configuration in place. With support for 100 megabit ethernet connections, the DD 100 creates a one-way data connection to provide best in class security. Using MicroArx' hardware security technology, DD 100 security uses the laws of physics to prevent any communication from the Internet from reaching your internal network. The DD-100 connects to 100 megabit ethernet for its downstream Internet network connection. The DD 11 provides flexibility, convenience and security. Like all DD series gateways, the DD 11 lets you leave your existing network configuration in place. With support for 10 megabit ethernet connections, the DD 11 creates a one-way data connection to provide best in class security. Using MicroArx' hardware security technology, DD 11 security uses the laws of physics to prevent any communication from the Internet from reaching your internal network. The DD-11 connects either to WiFi or cellular networks for its downstream Internet network connection. The DD 10 provides flexibility, convenience and security. Like all DD series gateways, the DD 10 lets you leave your existing network configuration in place. With support for 10 megabit ethernet connections, the DD 10 creates a one-way data connection to provide best in class security. Using MicroArx' hardware security technology, DD 10 security uses the laws of physics to prevent any communication from the Internet from reaching your internal network. The DD-10 connects to 10 megabit ethernet for its downstream Internet network connection.